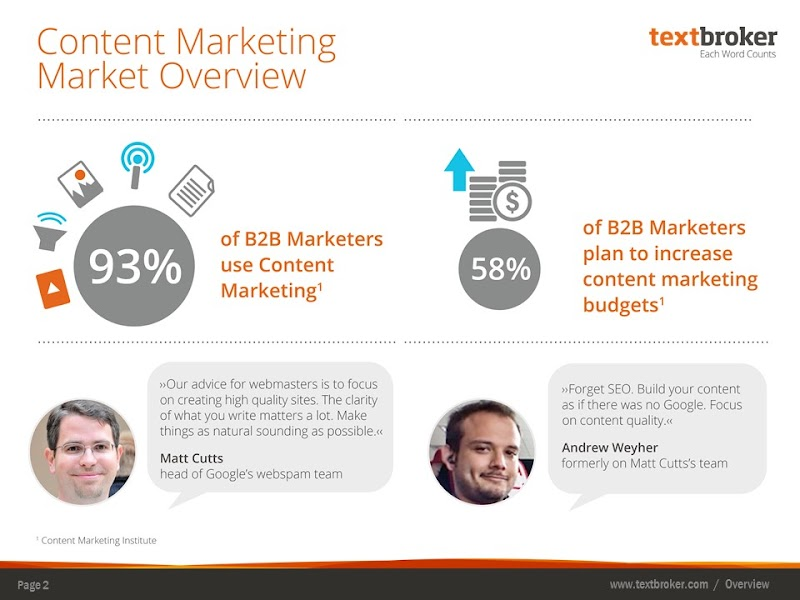 Content marketing is the practice of creating high-value content for a target audience to attract and engage them. It should be a core component of every business owner's marketing strategy. When companies provide consistent, valuable information to their customers, they build brand loyalty and drive business. 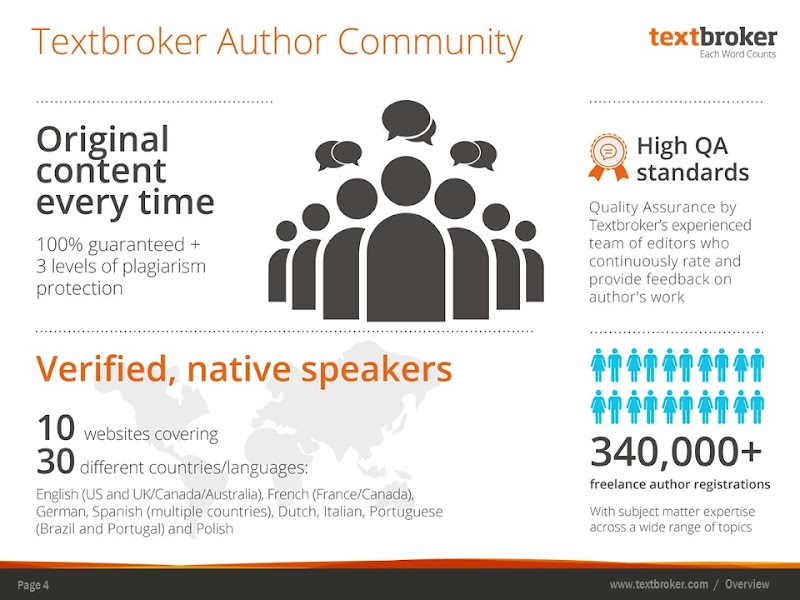 For over ten years, Textbroker has been providing custom written blogs to over 100,000 clients. 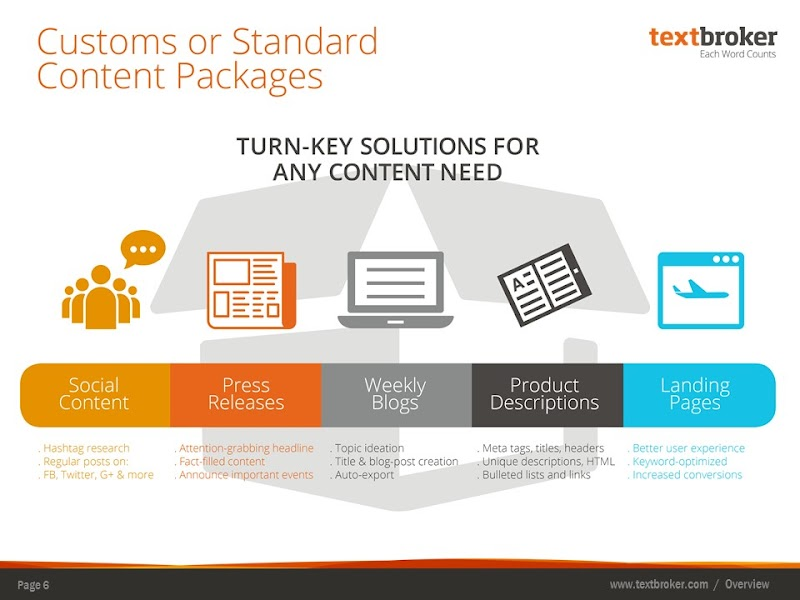 Simply pick the topics and keywords and we will provide your clients with high-quality content! Managed Service: With a dedicated Account Manager and editorial review process, you can rest easy knowing your project is in the hands of professionals. Typically, this is a service only offered for a minimum $2500 spend! 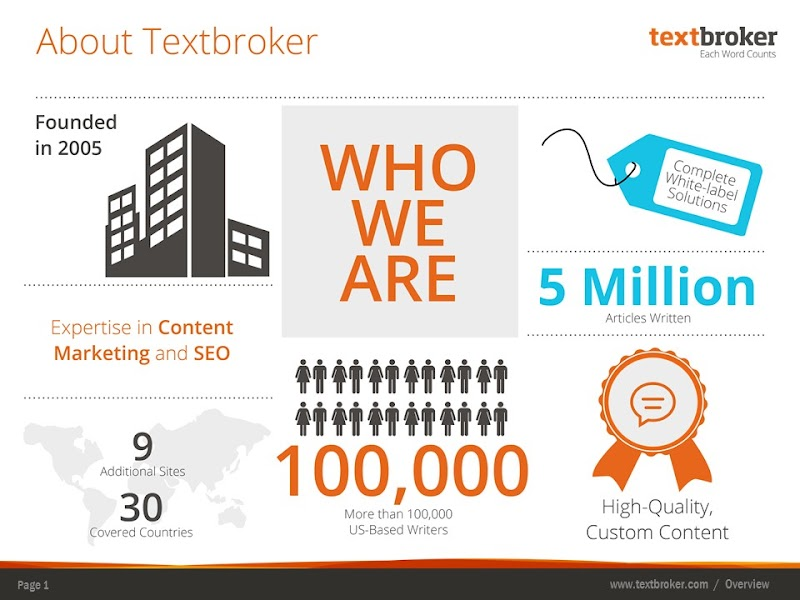 A single custom WordPress page to display blog content.